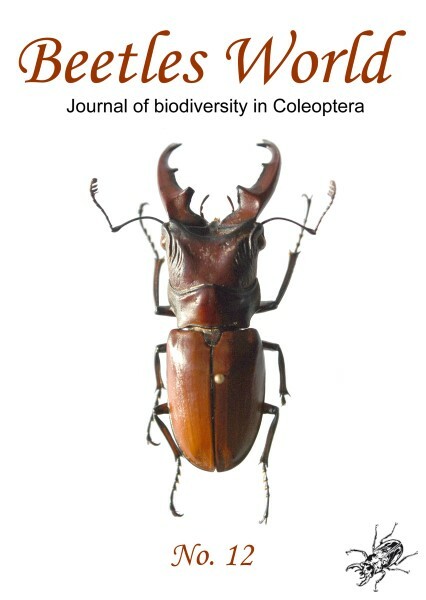 Beetles World is an occasional published journal devoted to taxonomy and to biodiversity of Coleoptera. We offer cooperation on the new description for every taxonomist from all parts of the world. All rights, including reprinting of extracts, electronic or optical reproduction and translation belonging to the publisher. One new species of the genus Lucanus Scopoli, 1763, Lucanus chinhillensis spec. nov. from north-western Myanmar (Chin Hills), a new species of the genus Neolucanus Thomson, 1862, Neolucanus ingae spec. nov. from north-western Vietnam and a new subspecies of the genus Cyclommatus Parry, 1863, subgenus Cyclommatinus Didier, 1927, Cyclommatus asahinai nanlingensis sspec. nov. are described, pictured and compared with the related taxa. A specimen similar to Neolucanus zebra Lacroix, 1988 from Taiwan Island, recently captured in China, Guangdong province, is figured.